What is Dynamic DNS (or DDNS)? In short, the purpose of a Dynamic DNS service is to allow servers without a static IP to host services with minimal interruptions. For example, people at home with ADSL internet providers may find that their IP is changing every so often. This is because your modem is using DHCP to have an IP address automatically issued to it at time of connection, rather then having a set & specific IP assigned to your account that doesn’t change. If you attempt to host a web server or other services from your home network, you will often find that your IP address has changed and people will be unable to connect to your server. A Dynamic DNS provider essentially acts as a middle man. You assign them as your websites nameservers and report your IP periodically to the DDNS provider. They in turn route that traffic to you. For those technically inclined. a Dynamic DNS provider is actually just a DNS service which uses extremely short TTL (time to live) values. So, if there is an IP change, rather then waiting hours, if not days for that change to propagate, it will instead propagate within a minute or two to keep your site alive. Their is also typically software you can place on your server to report IP changes on an automated basis. Well, in this case, it often is. A DNS server requires such little bandwidth that their are lots of people willing to give it away. Some of these are hobbyist sites doing it for fun and the odd donation, and other sites are commercial businesses using the service to generate traffic to sell other products such as domain name registrations, premium accounts, etc. Another common problem with home operated web servers is that ISP’s will block Port 80 to prevent their users from running web servers. A common feature of Dynamic DNS services is a port redirect to get around port 80 issues. So, you have someone access your site at www.yourdomain.com, and the service will forward that to some port of your choosing such as www.yourdomain.com:8080, and you can then either listen on this port instead, or have your router set to port forward that back to port 80 of your server. Although there are plenty of Free DDNS offers, we’ll find that the majority of free services only allow you to create sub-domains under their free service, and using your own domain name is generally not supported. If you are looking for a quick address to point to your home server it might not matter if you have mysite.no-ip.com but if you are intending to host a public web server it may be important that www.mysite.com is supported by the feature set. If you are planning on buying a custom domain anyways that you intend to use with your Dynamic DNS service, then perhaps you should consider Namecheap. They are a highly reputable registrar with great prices (<$10 for .com’s) and their service includes FREE Dynamic DNS routing as part of their DNS hosting package. It may save you the need to muck around with free 3rd party services! 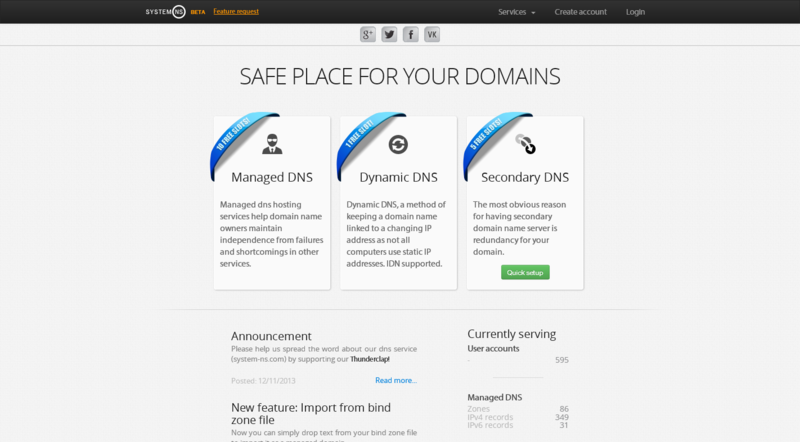 DNSExit.com is currently one of my favorites of the free dynamic dns services. They offer full DNS hosting for your own custom domains at no cost which is a rare service these days. If you do not own your own domain, do not fret, you can additionally choose to use a free subdomain from their 2 DDNS domain offerings (*.publicvm.com and linkpc.net). Interface can be tricky. Sign up process for Dynamic DNS will try to get you to register a domain name with them which isn’t 100% clear is optional. DYNU.com is service which boasts a set of free features that easily give it a top spot on this list. For no cost, you can get their dynamic DNS service for both first level and third level domains, unlimited sub domains for your domain, and a number of other server options including url and port forwarding. There is also all the DNS configuration options you could need including setting up MX records and things along that line. It also boasts one of the shortest TTL’s of any of the services I have seen at 90s. FreeDNS.afraid.org is also on the top of my list. It has a bit of a unique and different approach with its dynamic DNS service in that the site is largely community driven. Users are able to sign up and use their own custom domains with the service, BUT, when they do so that domain becomes available to use by all other members. (A user can also opt to use their domain privately as a premium service). The result is that the site has a HUGE pool of domains to create sub-domains from. If you do not have your own domain you are free to create up to 5 sub-domains of any of the domains they have in the user pool. Some of the domain options have great vanity qualities and are highly memorable, such as “pwnz.org”, “undo.it” or “info.tm”. The options are really virtually endless. 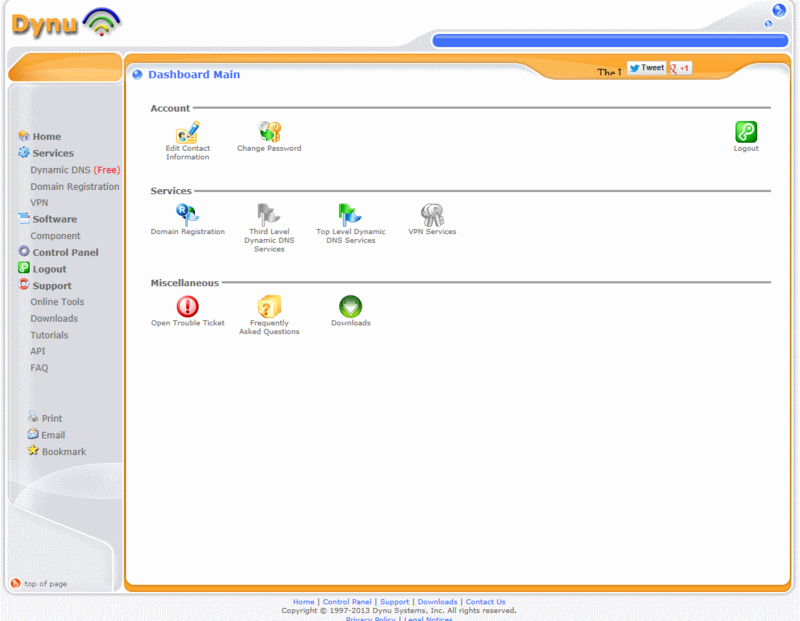 System-NS.com is a new site released in 2013 that is currently in Beta status. During the Beta, users are able to get a free account which allows for full DNS hosting (use your domain) for up to 5 domains, as well as the ability to use the servers as a secondary DNS if you are hosting your DNS elsewhere. There is also a basic Dynamic DNS service offering free sub-domains (all of “system-ns” based names) which seems to be limited to 1 account per user. The pricing past their “Beta” phase in not quite clear, but if I understand correctly, all accounts created during Beta will receive a lifetime license with the existing functionality. Up to 5 domains hosted as free service! Pricing change after Beta ends? Doesn’t include any DDNS update software, just an API which is good, but may pose issues to less technically inclined users. CloudFlare isn’t really advertised or known for being a DNS hosting service so I originally missed this gem in my reviews. 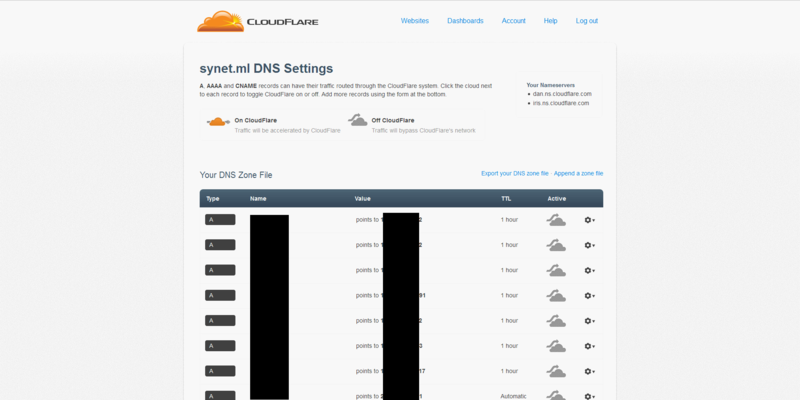 CloudFlare’s features work by taking over the DNS hosting of your website and then using their CDN to serve your content geographically and from a cache. However, you don’t have to actually enable any of CloudFlare’s features! Instead just can just use them as a free DNS host as part of their free plan. This includes a 5min TTL which is quite viable for Dynamic DNS and they offer support for the popular DDClient updating tool. One limitation with this service however is that you will need your own domain name. If you don’t have one you can always grab a free domain name from TK/GL/MA/etc. Completely free DNS hosting, unlimited domains. No premium charges unless you get into some of their advanced CDN features. Well established company. You know there is a lot of redundancy and they are going to be around for a long time! No free subdomain offerings if you don’t want to get your own domain name. duckdns.org is a free Dynamic DNS service offering accounts with up to 4 subdomains of duckdns.org. Optional donations will unlock more subdomains. A great value added on this site is detailed instructions OS by OS of how to setup cron jobs to use their DDNS update API. They also include instructions for common “micro devices” like raspberry Pi or users on Amazon EC2. The service is pretty barebones having no support for custom domains, no url/port forwarding, and only 1 domain to choose from for addresses. However, the service they do offer, they nail. Their dedication to simplicity, privacy, open source and maintaining a completely free service for the community have earned them a mention on our list. 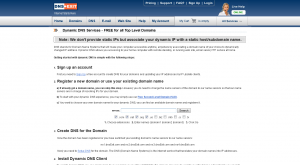 No-IP offers a free sub-domain based Dynamic DNS service. They also include port forwarding and url forwarding options which is not found on all other services which makes them a great choice if you’re running a home network with blocked ports. Hosting your own domain name on no-ip is a premium service and free accounts require action every 30 days to keep it alive (via email). dnsdynamic.org has a fairly basic DDNS offering allowing you to create unlimited sub-domains from their significant offering of domain name choices. The domain names are mostly utility focused such as “dnsget.org” and “sql01.com”. A unique feature offered by this site which gets them on this list is a free VPN and free HTTP Proxy service! This is quite unique and a great value for a free service. Please note that the usage of the VPN and Proxy are limited and that any P2P or other forms of illegal / heavy traffic are disallowed. The service is meant mostly for web browsing / email and light usage. www.changeip.com is another unlimited sub-domain based service. Using your own domain is a premium service at $6/yr. Their domain choice pool is quite large and features a large number of both utility and vanity type domain names. Getting started on change-ip was extremely quick and painless and I had my site up and running in no time at all. myonlineportal.net/ is another site offering basic sub-domain focused Dynamic DNS. As a value add they also have a free HTTP Proxy server for it’s users. This service is ad driven and as such, they have imposed a 1 year life on accounts in which you must visit the site again to renew your account. This seems fair enough, but could pose issues to users if they forget they need to return to the site to keep their account alive. dns4e.com offers free hosted DNS for your own custom domains, I believe for an unlimited number of domains but limited to 100,000 hits per month. For a DNS service 100,000 hits a month is plenty, but if you happen to run an extremely high volume website this may not be sufficient. The only thing I found holding DNS4E back is the reliance on the API to manage your account. The website itself is used to create a zone for your domain but then all DNS entries must be added and maintained via the API. There are fairly decent instructions for Linux-based users but the dependency on API calls may be a limitation to some less technical users, or windows users unable to “translate” the linux based instructions. 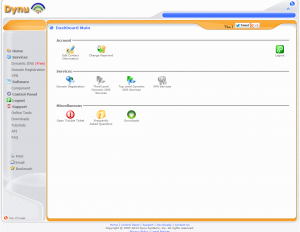 GSLB.me offers full DNS hosting free for 1 domain with Dynamic DNS updating options. 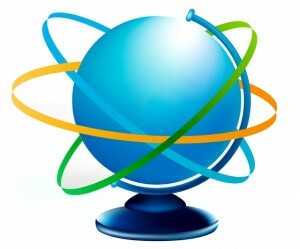 They also have a fairly unique feature for a free service allowing you to setup geohosts to load balance your server geographically. The service will determine the closest server to the user geographically and redirect the traffic accordingly. This essentially allows you to build your own CDN if you happen to have access / own multiple servers around the globe. I initially had trouble finding where on the website (prior to registering) it actually differentiated free vs premium offerings, but GSLB.me got a hold of me and let me know it is located on there features page. FYI – Registration required full billing information (not including CC / payment) which is significantly more information then is required for 99% of the other free DNS services out there. Please note that all sites submitted have been reviewed but that I won’t be featuring every site on my list in interest of maintaining readability. Sites offering sub-domain only accounts with no value added or significant choice in domain names will be skipped, as well as services requiring you to purchase/transfer your domain registration to them to use. Please suggest sites in the comments and I’ll continue to review and add sites as we go! Thanks for featuring No-IP! We appreciate it. Every month you receive mail notice to confirm the usage of your dns redirection, anoying but that s ok. This month I just received a mail saying that my redirections where canceled due to no ip change … With of course a link to a enhanced service to avoid this. This why I search for your blog and this is why I’ll won’t go to no ip anymore. Thanks for that info Stef! I’ll certainly keep your comment here as a warning to others though that they may be up to some shenanigans with their free service. Tried the DNS Exit and it appears I’m being charged for a top level domain. Second level domains appear to be still free though. As far as I can tell the service is still free. 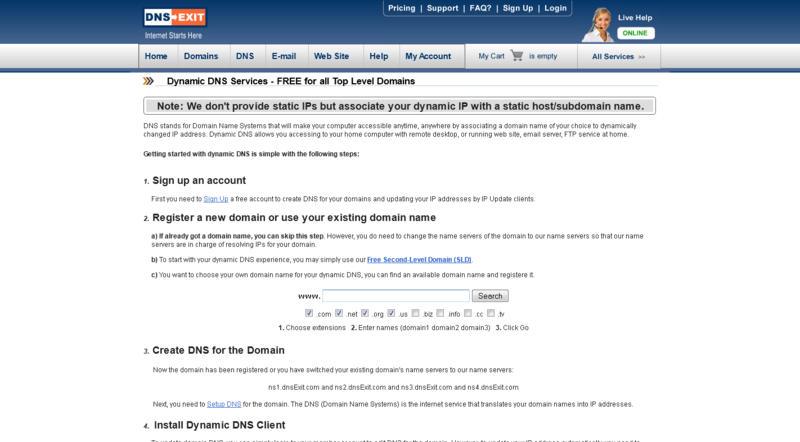 To be clear, the site is offering free Dynamic DNS routing, not a free Top Level Domain. When you register they try to sell you a TLD, but you can skip that step and just use your own. If you are in need of a free domain name there are some options there as well which I was planning to write a small article on eventually. I agree with Stef, The NO-IP 30 day rule is no different than DynDNS. I got hit with it this month as well. So I was Googling for an alternative and found this blog. DuckDNS looks promising, I might get a few years out of it if I am willing to use the silly TLD they offer 🙂 But I am not complaining it is truly Free…. Well, free service of No-IP in not really a 30-day trial, but you have to “confirm” your account every 30 days. They say here (http://www.noip.com/select-account-type.php) that they send you an e-mail with a confirmation link when needed. Have checked out https://dns4e.com/ ? It has a very simple user interface and REST API to control whole zones for free under 100000 queries. I have my own domain name through go daddy.com. It doesn’t seem possible to get a free DDNS site to point to my domain. I’m not even certain that I can get a non-free DDNS site to point to a domain not controlled or owned by them. Is this right? Anyway I can get any DDNS site to point to a domain that I own through go daddy.com? Any of the sites discussed that allow “Top Level Domains” should work. You’ll just need to follow the instructions of the site you decide to go with. This will generally consist of logging into your GoDaddy account and reconfiguring the nameservers for your domain to the dynamic dns service. We have also recently added other OAuth login providers, we now offer (Google, Facebook & Reddit) authentication. We also now have install instructions for: linux cron, linux, windows, osx, pi, raspbmc, ec2, openwrt, tomatoUSB. I would suggest including http://www.dnsdynamic.org on the list. I have been using it for a while and besides working fine it is free. Anyone tried https://www.changeip.com/ ? They do have a free dynamic dns with free domain. this is very usefull if you want to access your IPv6 webcam behind the CPE that has its own IPv6 global address. Is missing, it’s quite simple and completely free. No-ip has removed features since then. You are only allowed 3 Hosts now. You was used to be allowed 5 or 3 in every domain, they completely removed it so now free users are limited to 3 hosts, and also they charge OUTRAGEOUS prices for enhanced services, for 25 Hosts. You won’t even need the 25 hosts, At most I would of only needed… 5 at most. Just because I wanted to be “organized” with my domains. Now I can’t even do that. http://myonlineportal.net is missing – I don’t know if it will be the best – but it’s definitely missing. They support dualstack update with IPv4 and IPv6. Thanks for the comments everyone! I just want to note that I will be doing an update for 2014 with all the suggestions so far. Particularly looking for DDNS providers that support TLD’s for free since that is a bit of a lackluster area so far. Thank you for considering a free DDNS services update for 2014. I can confirm that https://dns4e.com is supporting free DDNS for TLD up to a limit of 100.000 DNS queries per month. 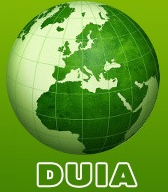 i’m using a free account from https://www.duiadns.net. they have a nice feature that updates IPv6 addresses of your LAN devices that cannot run a dynamic dns client. Another free dynamic DNS service is at http://www.gslb.me, complete with its REST APIs. For a long use FreeDNS.afraid.org definitely the Best, Free, Fast, With a good API, many customers to upgrade and most importantly 100% availability. What do you think about https://nubem.com/dynamic-dns.php ? Dynamic DNS comes for free, and you can bring-in your domain name. Would you like to try it ? Any comment or suggestion is very welcome. DYN just announced that they will be closing their free service in 30 days. ZoneEdit is another free service. They support using your own domain with 5 sub-domains for free. You can also purchase “credits” which give you more features. They do support port forwarding and other services. Only downside I see is the weak update tool. Have it running now since 4 months and allthough my broadband provider never changes the (dynamic) ip I did not get any nasty mails from them or something. It just works as expected. Don’t use DNS Dynamic.. their servers go down ALL THE TIME. I use one for a TeamSpeak server and it’s constantly going offline. Thanks for this list – it saved the day. After having used No-IP for many years, all of a sudden my account was disabled due to ‘a violation of the TOS’. I phoned and was told ‘Your account has been disabled, therefor you can only communicate with the abuse department’. I send daily emails to the abuse guys and not a single response… So far for service! After a week (without DNS) I tried some of the site you suggested, picked the easiest one (DuckDNS!) and was back up and running in no time! Again, thanks for the list! Very good analysis on the DDNS service and its suppliers. It seems that it is not possible to deliver the DDNS service for our own, because, usually the router allows to configure only some services, e.g: DynDNS or NO-IP. As this is *GNU*tomorrow I guess you are interested in free software/services (like in “freedom”), not just in free (as in “free beer”) services with closed source proprietary software. We (some people from stuttgart hackerspace “shackspace.de”) developed a FOSS implementation of a DynDNS service and I run an instance of it on https://nsupdate.info/. It’s a rather simple & easy thing, but our focus was rather on simplicity, ease-of-use, freedom, privacy, security and decentralization than on adding lots of “value added” features or many domains. It complies to dyndns2 and RFC2136 standards, thus works with many existing client and server software. On the service, you can add dynamic hosts to our domain (xyz.nsupdate.info) or even dynamic hosts to your domains (xyz.yourdomain.com – IF you control the dns server of yourdomain.com) there. Alternatively, you can also use the nsupdate.info software to run your own service, which might be an added value most if not all the services posted above do miss. I’m using Duiadns for this very usefull feature (https://www.duiadns.net/ipv6-for-lan-feature) and i have all my IPv6 enabled devices DNS updated. I strongly recommend it! Thanks for the wonderful list of DNS service providers. I have a domain hosted at afraid.org. After reading your blog now I know how there was a sub domain entry that I had not made! I will switch to a paid service.